Al MacLennan of Pinkbike.com has joined us a handful of times on various trips. First at our product launch out in Molini di Triora, then out at the Diamondback sponsored Joyride Open Series – Joyride Festival event in Kluszkowce, Poland. Between the times he has spent quite a bit of time aboard our new DH8 downhill frame; Al is an elite category downhill racer in the UK, so he certainly knows how to throw a bike about. Al also writes for Pinkbike.com, so as he has spent the time on the DH8, he’s been taking note of the fine details of the ride and build to put together a review. He covered everything from the “out of the box build” to the bikes performance on various downhill tracks. From the start Al said the build was stress-free with no “minor irritants”. 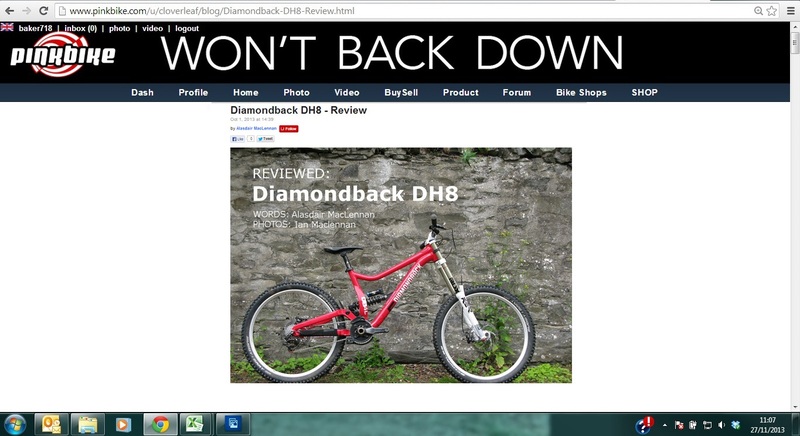 Getting into the review of how the bike rides, Al went on to say “the diamondback’s easy handling could be called ‘simple as boring’, but handling this good can only result in better riding”. The praise continues throughout. Be sure to follow us on Facebook and Twitter, to see our regular updates!